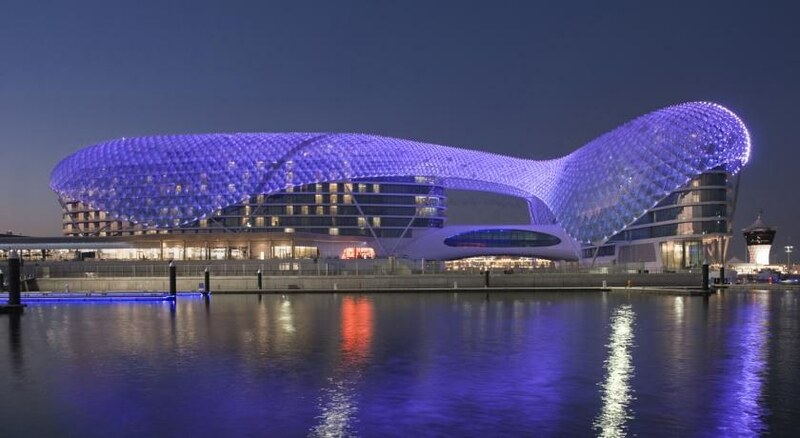 The Yas Viceroy Abu Dhabi Hotel is an architectural triumph. This uniquely designed hotel takes 5-star luxury to a whole new level, soaring over land and sea and spanning the Yas Marina Circuit, a popular racetrack for the Formula 1. This glamorous hotel dazzles guests with its refreshing style & character, featuring 499 guest rooms and suites with custom furnishings, two rooftop pools, a luxury spa and fitness club, a gym, innovative Generation V Kids' Zone, plus no less than 11 swanky restaurants, lounges and bars to indulge in. You’ll never get bored during your stay thanks to the extensive list of activities provided by the hotel. From kayaking to eco-tours of the mangroves, drag racing to go-karting, and sailing to seaplane excursions, there's plenty to enjoy for the whole family. Yas Island is the entertainment capital of the UAE, so guests will find plenty to explore outside of the resort too – from the world-class Ferrari theme park, to Yas Aquaworld Water Park, Yas Links Golf Course and Yas Marina. The Yas Viceroy Abu Dhabi luxury hotel is 2km from the Yas Island Marina Circuit and 3km from Ferrari World Abu Dhabi amusement park. The hotel is situated in the entertainment hub of the UAE, Yas Island, and also connected to mainland Abu Dhabi by a bridge – perfect for exploring the surrounding resort. 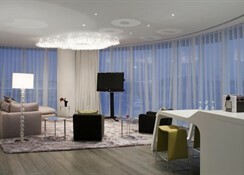 The hotel is a 10-minute drive from Abu Dhabi International Airport and a 15-minute drive from Abu Dhabi city centre. The Abu Dhabi International Airport is about 6km from the hotel. 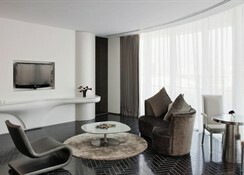 The hotel offers 499 spectacular rooms and suites, divided into categories to suit all needs. Guests can choose from Superior Rooms, Deluxe Rooms, Marina Deluxe Rooms and Deluxe Suites, Yas Grand Suites, Island Suites, Marina Executive Suites, Presidential Suites – all offering views of the race track and/or marina. 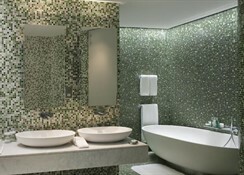 The rooms feature free WiFi, flat-screen TVs, soaking tubs, and tea & coffee making facilities. Upgraded rooms add marina views. Suites have living rooms, guest bathrooms and/or kitchenettes. A presidential suite has a kitchen, a lap pool and a sauna. 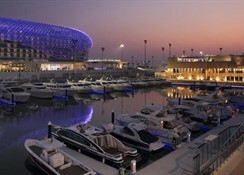 With 11 dining and lounge venues, the Yas Viceroy Abu Dhabi Hotel is a culinary delight for its guests. Guests can taste Italian cuisine at Amici, Indian cuisine at Angar, Moroccan, Tunisian, Lebanese and Syrian cuisines at Atayeb, Japanese cuisine at Kazu, International cuisine at Origins. for The nightlife and clubbing scene can be achieved at The Yas Lounge and EMPIRE at Rush Nightclub. The Latitude and Longitude Pool Lounges are located on the rooftop of the hotel. Watch the sun set while sipping on delicious cocktails and engaging conversations. Yas Viceroy Abu Dhabi has two rooftop swimming pools, the ESPA luxury spa and fitness club, a gym with modern equipment, an innovative Generation V Kids' Zone great for family holidays, plus a realm of other top tourist attractions outside of the resort. Thrill-seekers can head over to the Ferrari World Abu Dhabi, or cool off at the Yas Waterworld Abu Dhabi (home to one of the tallest water slides). The Yas Links Golf Course, Yas Beach, Yas Mall and Yas Marina are all nearby.